Time is an underlying aspect of all social behavior. It is a social fact that reflects and creates social and economic conventions, rather than representing an objective fact based on the earth’s immutable natural cycles (Duncheon & Tierney 2013; Durkheim 1965; Nowatny 1975; Zerubavel 1976). Data on how individuals spend their time can be effectively used to better understand the well-being of the population, social and economic behavior, and the implications of public policies. Time use data can also be used for making international comparisons, providing a better understanding of cultural and social differences across countries (National Research Council 2000). 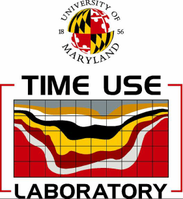 Check out our pages on measuring and analyzing time use.